The Violin Play-Along series will help you play your favorite songs quickly and easily. Just follow the music, listen to the demonstration tracks to hear how the violin should sound, and then play along using the separate backing tracks. The purchase price includes online access to audio for download or streaming. 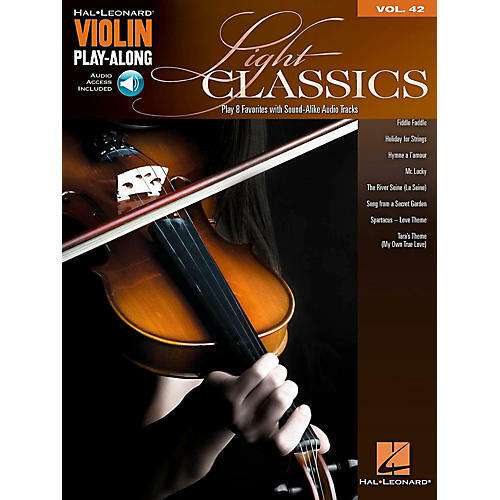 This volume features eight songs: Fiddle Faddle • Holiday for Strings • Hymne a L'Amour • Mr. Lucky • The River Seine (La Seine) • Song from a Secret Garden • Spartacus - Love Theme • Tara's Theme (My Own True Love).